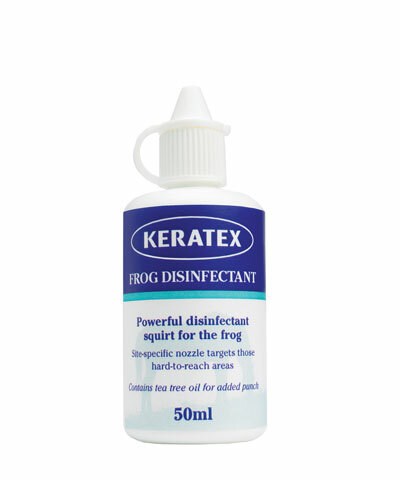 Keratex Frog Disinfectant contains tea tree oil, a powerful and specific disinfectant which protects against the organisms which cause thrush. Other ingredients contribute by dehydrating the cell structures of invading bacteria and fungi. Apply twice weekly or as required to eliminate thrush and maintain a healthy frog.